I couldn't find anyone selling Witchy Shoes, so I don't know how much it's worth. I think the rose is woth. I had those before. The shoes maybe but the rose. 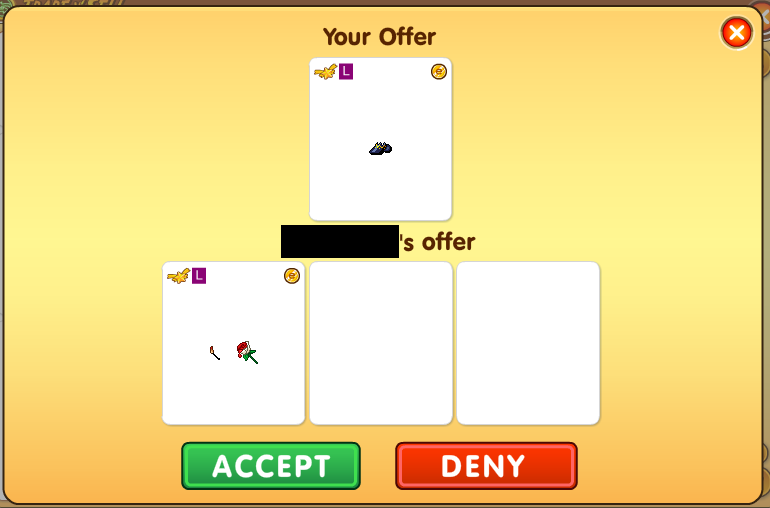 Good choice i know that was an event from 3 months ago.I would trade something more worth. The event was actually the Alice In Wonderland event from LAST YEAR, they just brought the painted rose back because it was so popular.